Where do VERAOLIVE Extra Virgin Olive Oils Come From? Veraolive exra virgin olive oils come from the Aegean region of Turkey. Rich soils of the Aegean, high oxygen levels of Kaz Mountain, and the aromatic taste carried to the trees on warm Aegean breezes render the olive oils of this region special. Olive tree crops are said to be abundant one year and limited in the next year. However, this is not true. Olive tree crops would be just enough each year if the trees are preserved and harvested under right conditions. For years, olives were harvested by poking tree branches with a long stick. This method hurts the tree branches, which causes a decrease in the crop amount of the next year. These branches can only get over these blows in two years. So, what is the right way to harvest olives? When it is harvesting time, the best way to harvest olives is to collect the olives by hand from the branches without hurting the branch or the olives. This way, you can produce higher quality olive oils. Veraolive is a gift for us from the magnificent Aegean nature. Veraolive Olive Oils, produced from high quality and tasty olives collected and pressed with the right methods, will take you to feel the Aegean breeze. Olive oil is actually olive juice in its simplest saying. Olives are one of the very few plants that directly produce oil when juiced. 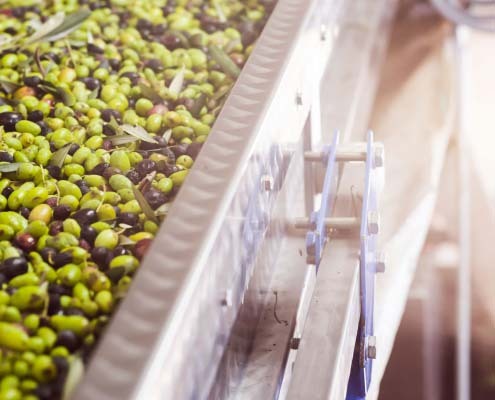 Veraolive olive oils are produced in hygienic facilities by cold-pressing. Cold-pressing method means that olives are juiced and pressed without being exposed to any heat and ensures that healthy components and elements in olives are preserved. Harvested olives are transported to the pressing facility in the same day in appropriate conditions for pressing. This way, olives won’t have the time to produce acid, so the acidity of the olive oil will be remarkably low. Veraolive olive oils have low acidity levels. They are classified as 100% Extra Virgin Olive Oil less than 0.8% acidity level. Even though low acidity level is not a quality criterion on its own, it is a rather important one. As the acidity levels increase, vitamins and antioxidants in the oil decrease, which directly decreases the taste of the olive oil. 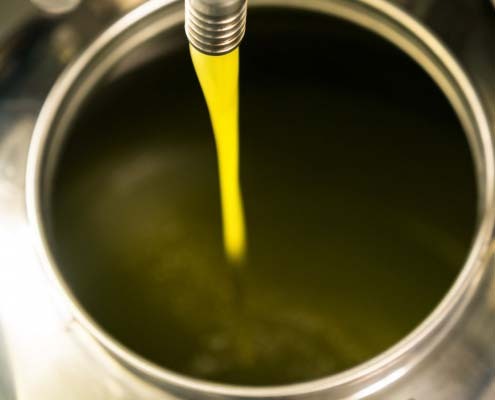 Veraolive olive oil has a shelf life of 2 years when kept in a cool and dark place and in an airtight container. As Extra Virgin Olive Oil, it can be used in dishes, appetizers, deep fried dishes or uncooked.